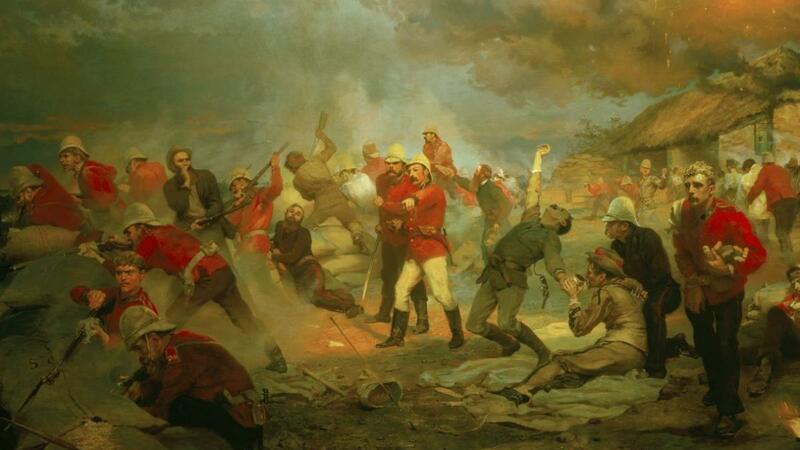 Lady Elizabeth Butler, The Defence of Roke's Drift, 1880. Oil on canvas. Royal Collection Trust © Her Majesty Queen Elizabeth II. Violence permeated the visual culture of nineteenth-century Britain. The invention of photography and the rise of the illustrated press offered the Victorian public increasing access to violent spectacle. Pictures showing the human body in extremis negotiated a complex and evolving ethical terrain. The last public execution in Britain was held in 1868; such displays were “inconceivably awful”, as Charles Dickens wrote. Yet influential thinkers like John Stuart Mill claimed that bearing witness to others’ pain helped to guard against the “moral effeminacy” which threatened the sheltered societies of modern civilisation. My project considers the nineteenth-century proliferation of images of crime, punishment and global warfare against the backdrop of such debates. We can see an intensive aestheticisation of violence occurring across diverse forms of visual media from the 1850s onwards, yet the global scope and geopolitical significance of this process remain largely unexplored. In a scene published in the Illustrated London News during the 1862 International Exhibition, some visitors were shown admiring the Trophy of Armstrong Guns and Coils from the Royal Gun Factories, Woolwich, a spectacular display of weaponry on show at the World’s Fair. Other scenes depicted the visitors admiring artworks, thus registering an equivalence between a militaristic gaze and the sophisticated viewing practices that had become a fundamental feature of Victorian culture since the Great Exhibition of 1851. The equivalence was jarring; the Military Court was a new addition to the 1862 show, and was seen as a corruption of formerly pacific ideals. “No wonder the ghost of 1851 is so restless,” wrote one critic. “Peace, so loudly invoked in the first Exhibition, scarcely expected to see this as a result of it in the second”. So what had happened? William Simpson, ‘The Afghan War: Execution of a Ghazi, or Mohammedan Fanatic, at the Peshawar Gate, Jellalabad’. Illustrated London News, 8 February 1879. © Illustrated London News Ltd. The geopolitical landscape of the years linking the exhibitions of 1851 and 1862 bears a striking resemblance to that of today. Russian expansionism had led to warfare in the Crimea, while an insurgency in Asia (motivated, to the British mind, by Islamic fanaticism) had launched a dramatic challenge to western power. Such instability mocked the optimistic internationalism of 1851. The Great Exhibition was intended to promote peaceful economic and aesthetic interchange, but subsequent years saw a surge in conflict, fostering an explosion of war photography and turning visual journalists into household names. Any ideals about the peaceable nature of aesthetic display were put under extreme pressure by the savage realities of global imperialism. This project will give the first sustained account of how aggressive geopolitical climates created the conditions for broad shifts in modern sensibilities towards the aesthetics of picturing – and perpetrating – violence. 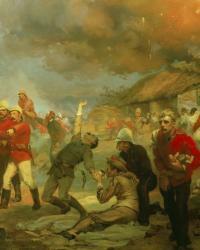 A wide-ranging traffic developed between violence and visual spectacle in this period, spanning both ‘high’ and ‘low’ culture: the 1860s alone saw the founding of the Illustrated Police News, with its sensationalist imagery of villainy, and the sudden rise of a popular British school of battle painting, an artistic genre once seen more as the preserve of the ‘bloodthirsty’ French. Aestheticised violence thus played a key role in defining journalism and shaping the contours of both domestic criminality and global conflict in the nineteenth century. My research tracks this violent transformation of fine art, mass media, and public sensibilities, assessing the agency of visual practices in shaping modern political and ethical consciousness.